If you’ve never been introduced to Nigella, prepare for a new experience. 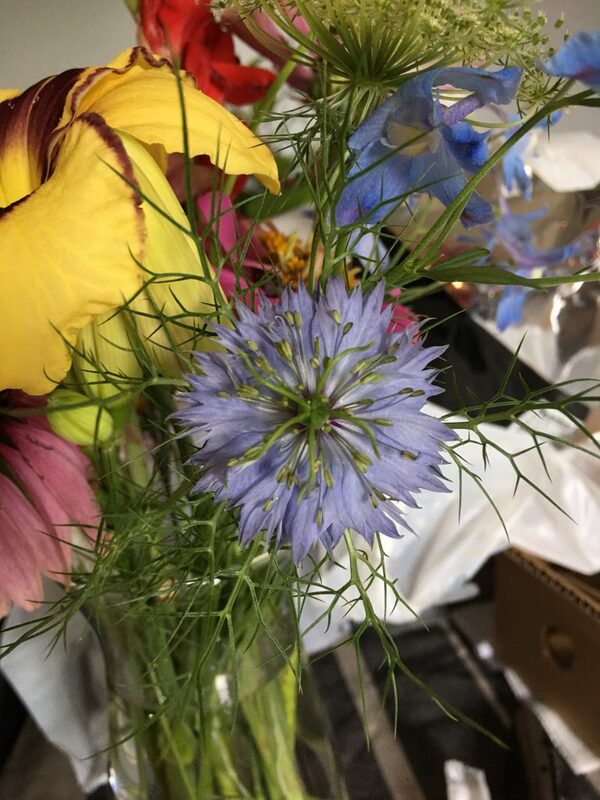 This spiky-yet-beautiful bloom is so unique, and looks amazing in bouquets. 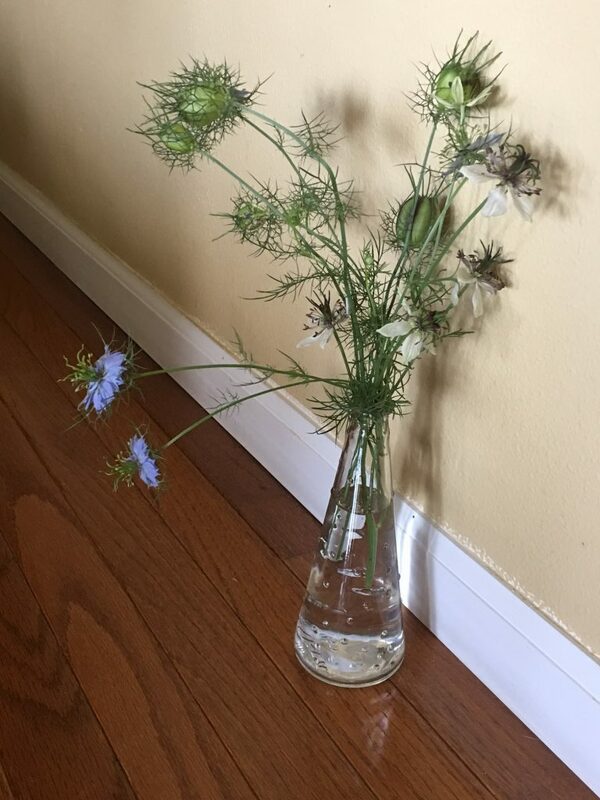 This flower can usually be found at your local flower farms when in season (spring-summer), and creates some sweet-looking seed pods, along with white, blue, and purple flowers. With the fluffy spiked foliage, the blooms look like little jewels in lace. The seed pods look neat dried as well. 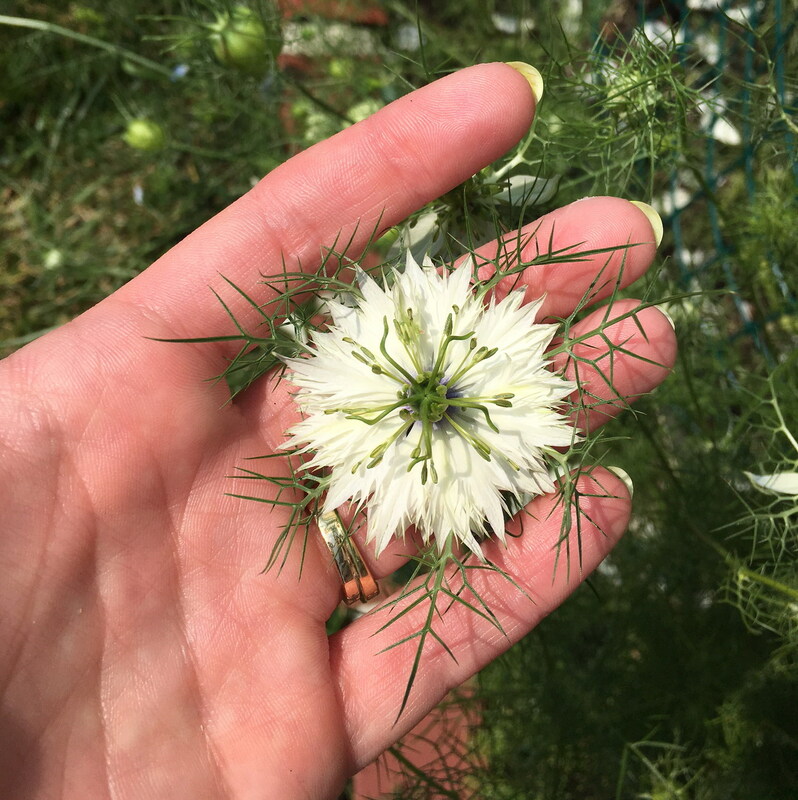 This year was my first time growing Nigella, and I purchased seeds from 2 different retailers. One pack was a mix of blue, purple, and white blooms, and the other was white only. The Germination rate was a struggle for both types. 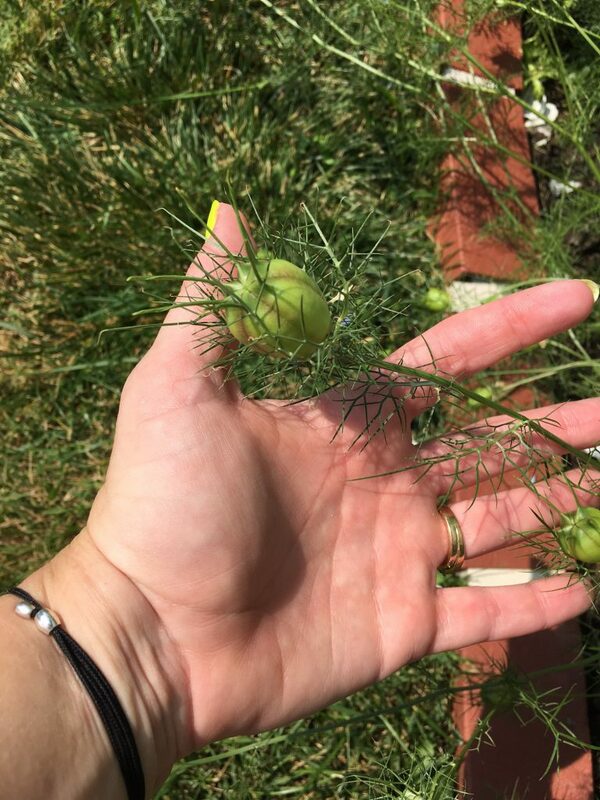 The seeds are small, and can be prone to getting either washed away by heavy rain in the spring, or can get covered by too much soil to germinate. 2 days after planting some in my front garden, we got a heavy downpour and I think it wiped out a lot of the seeds. I’ve also found that Nigella doesn’t like competition for sunlight. You’ll experience small stems and few flowers if they are too close to other plants that can steal the sunlight. 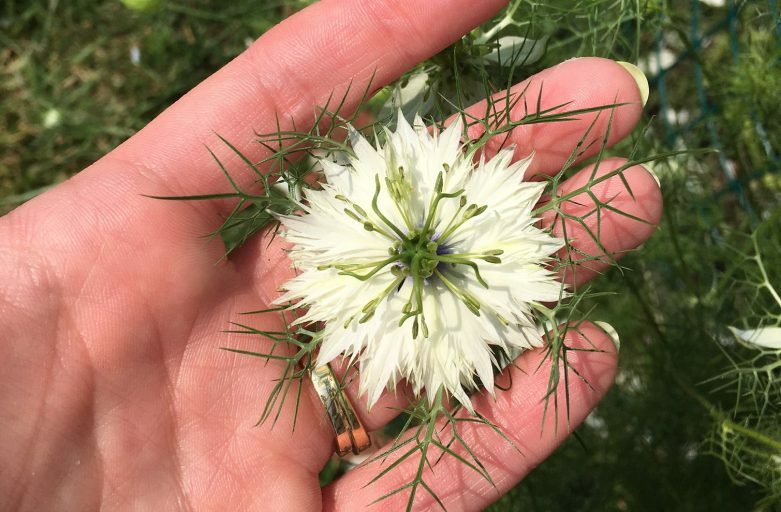 I’m going to stick with growing Nigella because it is so unique, and I hope that next summer’s brides will look to buy local, using this flower in their weddings. Like how simple they are. Perfect for adding texture to flower arrangements. These are beautiful! I never knew their name. They’re wispy and romantic and fun! Very pretty in a simple vase, solo.